Balikpapan is a city known as a producer of petroleum. 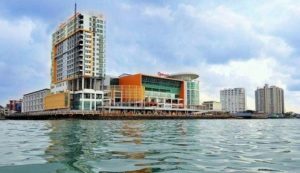 Although it is not a provincial capital, Balikpapan is a fast-growing city with high purchasing power. 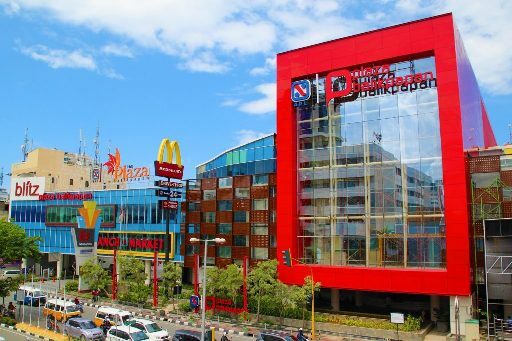 There are many shopping centers scattered throughout Balikpapan. So, in addition to trying various things to do in Balikpapan, take time to shop and practice your bargaining skills. Let’s see some best places to shop in Balikpapan. This market has been known for decades as a place to shop for local and foreign tourists looking for souvenirs. 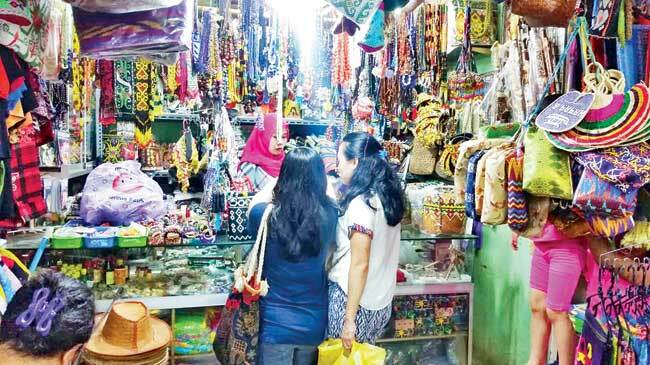 In this market, various Kalimantan handicrafts can be bought such as necklaces, bracelets, rings, broses, wallets, and bags. 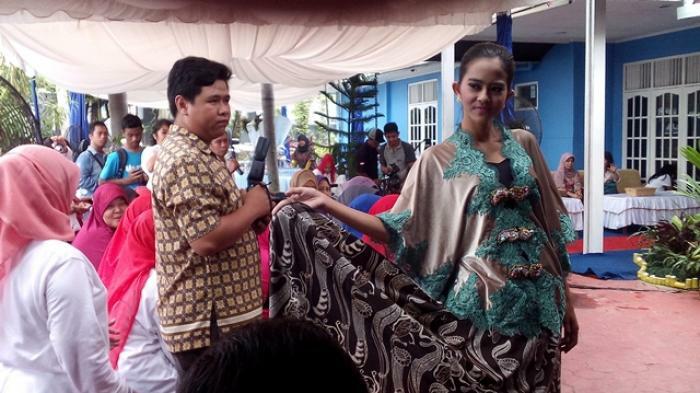 In addition, there are also Mandau which is a typical weapon of the Dayak tribe, fabrics with Dayak motifs, traditional clothes and also Kalimantan specialties such as amplang. Even without air conditioning, the market is never empty of buyers. Kebun Sayur Market is located at Letjend. Suprapto Street, Marga Sari, Balikpapan. Balikpapan Plaza is a shopping center that is a favorite of Balikpapan residents. Here you can easily find popular branded items. Besides that Balikpapan Plaza also has food court and cafes to spoil its customers. 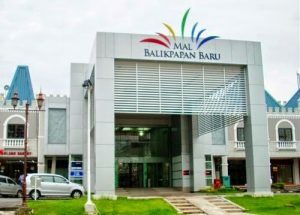 Next to Balikpapan Plaza is the Balikpapan Trade Center. If you are looking for electronic items or clothes at low prices, stop by there. 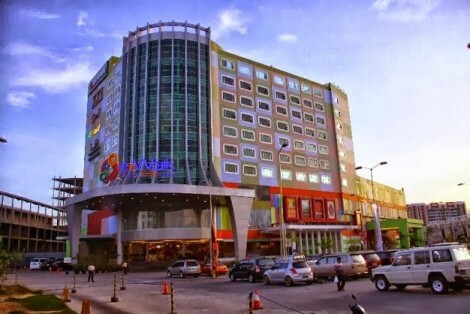 Balikpapan Plaza is located at Jendral Sudirman Street, No. 1, Klandasan Llir, Balikpapan. Opening hours is 10 am – 10 pm. This area is located in the downtown Balikpapan and is more popular as the Nusantara Area. Administratively the area is situated at Ahmad Yani Street. Here you can find numerous stalls selling a variety of typical Balikpapan snacks such as amplang. Tasting amplang is one of must things to do in Kalimantan. Because there are many choices, make sure you know what you are looking for before coming here or you can stroll around the area before deciding to buy. 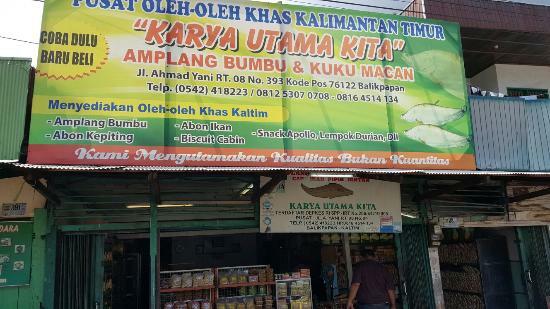 The snack area is located at Ahmad Yani Street, Balikpapan. The Stal Kuda Area is also a snack area. Here there is a row of stalls selling various food and snacks typical of Balikpapan such as amplang. There are also stalls that sell a variety of souvenirs typical of Balikpapan. The Stal Kuda Area stretches from the front of Balikpapan Super Block (BSB) to the front of the Balikpapan National Police School. It’s easy to find, you won’t miss it. Stal Kuda Area is located at Iswahyudi Street, Balikpapan. E-Walk was opened in 2009. The building which has a modern minimalist look gives the impression of being magnificent and comfortable. E-Walk has four floors containing around 94 tenants. E-Walk offers a one stop shopping concept to win the heart of customers. You can search anything from entertainment, culinary, to daily necessities. So it is fair to say that all fancy things to do in Samarinda can be done here. E-Walk is located at Jenderal Sudirman Street, No.47, Balikpapan. Opening hours is 10 am – 10 pm. Rumah Kreatif Balikpapan (RKB) is a center of small and medium-sized business fostered by Chevron Indonesia. The place sells various handicrafts from Balikpapan’s Small and Medium Enterprises (SMEs) and home industries such as bags, clothes and fabrics. Rumah Kreatif Balikpapan is located at Wiluyo Puspoyudho Street, No.1, Klandasan Ulu, Balikpapan. 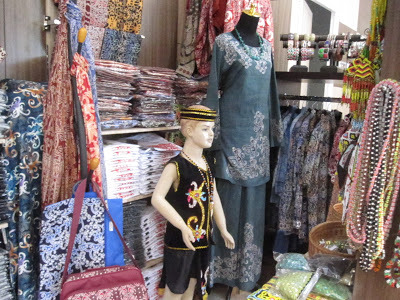 Beruang Madu is a shop that sells typical souvenirs of Balikpapan and East Kalimantan such as T-shirts and batik clothes. In addition there are also handicrafts such as necklaces, bracelets, bags and sculptures. Most of the items sold here are products made in Balikpapan by locals. Thus shopping in Beruang Madu means that you help directly the local economy. Beruang Madu is located at Ruhui Rahayu Street, Balikpapan. Opening hours is 9 am – 5 pm. Most of the malls are built minimalist with modern design. But Balikpapan Baru Mall is an exception. The shopping center has a building that resembles a palace in a fairyland. It’s amazing and really eye catching. Balikpapan Baru Mall presents the atmosphere of a fantasy world commonly seen in films. Nevertheless, inside the building there are dozens of tenants who will meet all your needs, such as the Sun, Excelso, KFC, Hero, and many others. 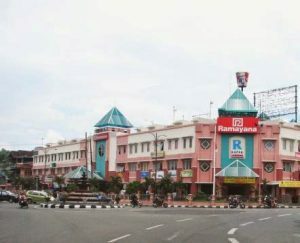 Rapak Plaza is the oldest mall in Balikpapan. Therefore you can bet for sure that all Balikpapan residents must know it. 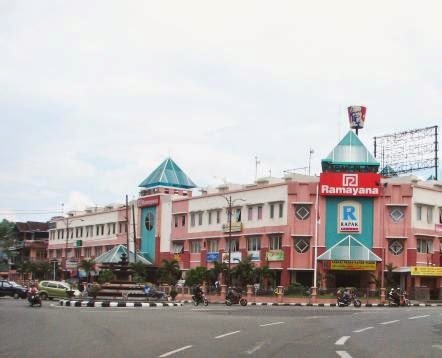 Even though it is from the time before Google, amazingly Rapak Plaza is still one of the favorite malls for people of Balikpapan. Like other malls, here you can shop for daily necessities or just hang out with friends. 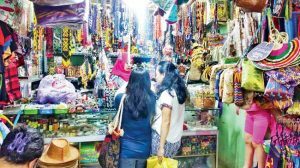 Another plus point, Rapak Plaza often holds sale to attract visitors. Balikpapan Ocean Square (BOS) is the newest shopping center in Balikpapan which was just inaugurated at the end of 2017. BOS is located in the center of Balikpapan city and is directly facing Balikpapan Bay. Its strategic location makes BOS one of the best malls in Balikpapan. In addition to the views of Balikpapan Bay, BOS has a culinary area called Food Avenue. With an outdoor concept, you can enjoy a variety of delicious dishes in a garden filled with flowers while watching the beauty of Balikpapan Bay. Balikpapan Ocean Square is located at Jenderal Sudirman Street, Klandasan Ilir, Balikpapan. Opening hours is 10 am – 10 pm. Besides Balikpapan Bay, there are lots of beautiful beaches in Kalimantan. 15. Living Plaza at MT. Haryono Street, Gunung Bahagia, Balikpapan. 16. Pentacity Mall at Jenderal Sudirman Street, No. 47, Gunung Bahagia, Balikpapan. Well guys, now you have the list of wonderful places to shop in Balikpapan. There are lots of unique souvenirs that are worth to buy with fair prices. So spend your money to help boosting local economy and enjoy the beauty of Balikpapan.